Although there’s a thriving pub/bar scene at the (ahem) ‘vibrant’ Brixton end of Coldharbour Lane, things look much bleaker once you head east towards Camberwell via Loughborough Junction. 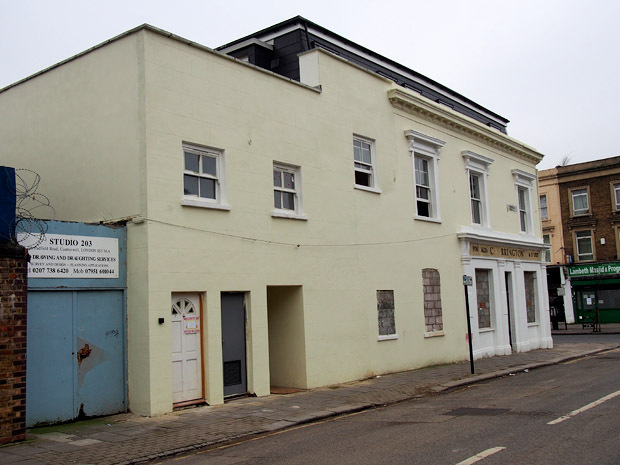 The most recent Coldharbour Lane casualty is The Angel, a pub dating back to Victorian times with fascinating theatrical connections. 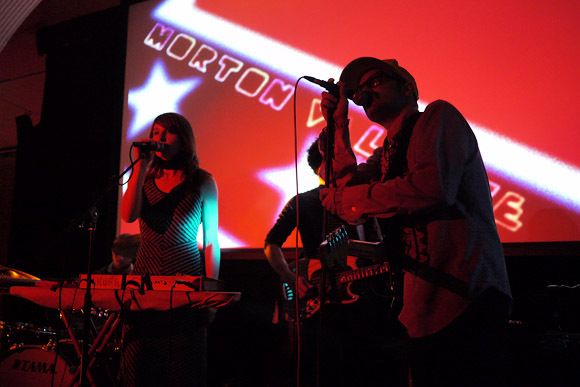 After finally closing for good in 2011, the premises were purchased by stinking rich property developers Lexadon, who offered the space for six months to self-proclaimed ‘community arts’ venture, the Brick Box, who put on barely-advertised events including a £40-a-head Edwardian -themed supper night. Read more here: History of The Angel. Update Apr 2018: It’s now home to private flats and the trendy Mama Dough pizza restaurant. Now completely vanished is the Loughborough Park Tavern, which stood on the corner of Coldharbour Lane/Moorlands Road (formerly Loughborough Park). This grand pub was originally known as the Royal Veteran and stood between a small row of shops, at 305 & 307 Coldharbour Lane SW9. To the east was Blake’s bicycle shop selling Raleigh ‘all steel’ bicycles, then R E Hobday’s free off-licence, a closed shop at 313, then a newsagent and another Blake’s bike shop. 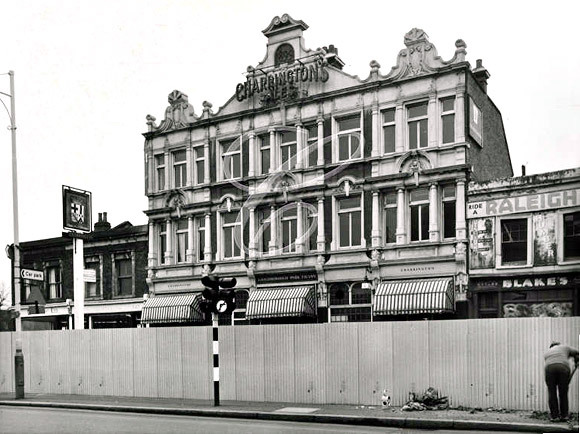 The pub was pulled down in the late 1970s to make way for the Barrier Block (Southwyck House) development. 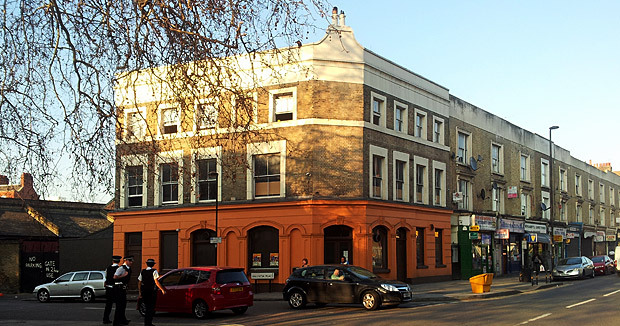 More: The mystery of the Brixton Loughborough Park Tavern solved! 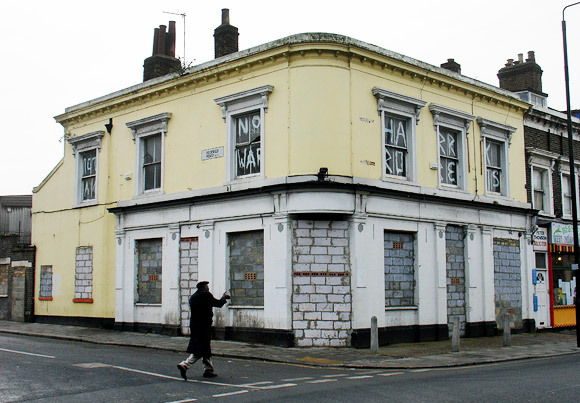 Perhaps the saddest loss of all the pubs on Coldharbour Lane is The Junction (formerly The Warrior), which once boasted its own fine brewery. The pub closed in 2003, with a subsequent luxury residential development above guaranteeing that the ground floor would never see action as a pub again. 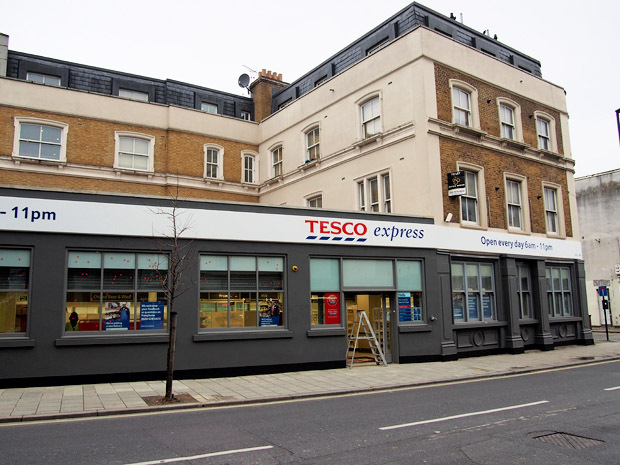 After remaining empty for nearly a decade, the inevitable conversion into a supermarket began, with Tesco opening for business in January 2013. It hasn’t all been plain sailing for the multinational though, with some locals expressing their displeasure at seeing another supermarket pub takeover through the medium of smashed windows and ad hoc paint jobs. 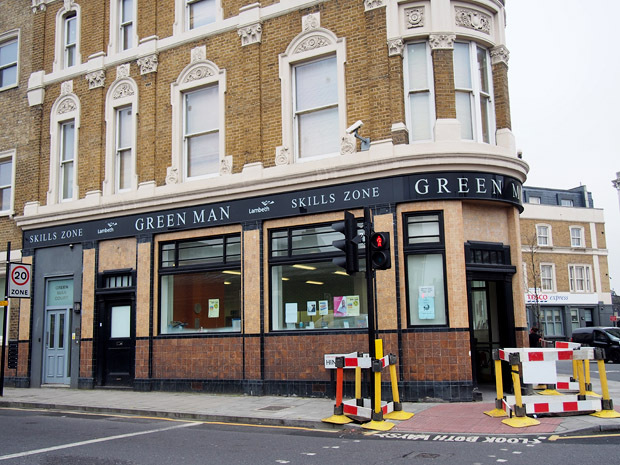 Situated almost opposite the The Junction, the Green Man pub has stood on this site for well over 140 years. 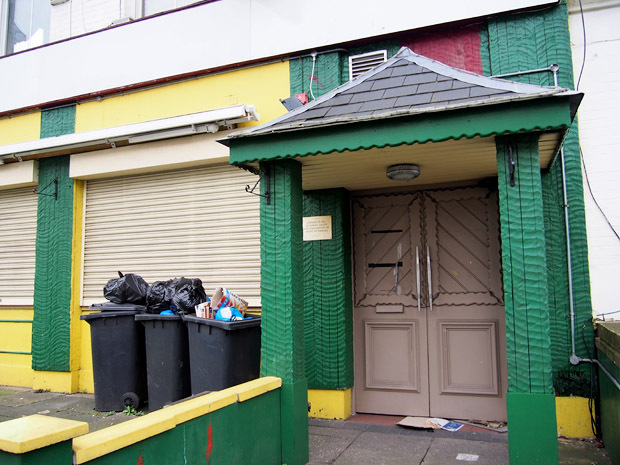 The pub closed around the same time as its neighbour, and after closure was converted into apartments, with a Lambeth Council ‘Skills Zone’ using the old pub space downstairs. 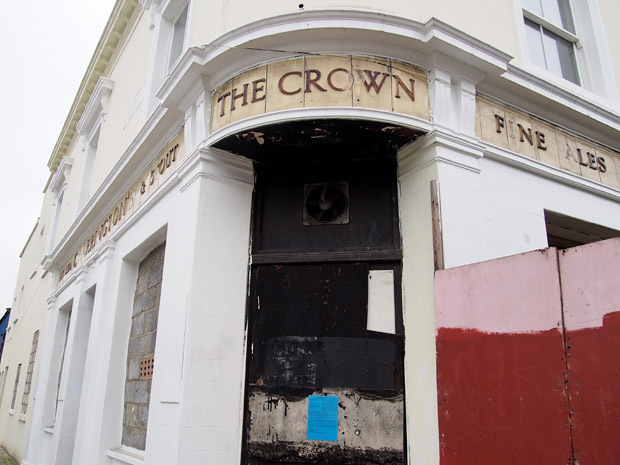 Originally known as The Crown and renamed as the ‘Mucky Duck’ in the 1990s, the pub closed around 2002, and was briefly squatted for some time shortly after. 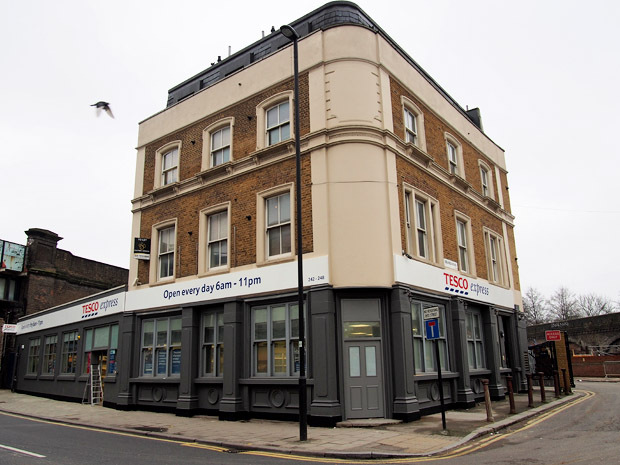 Although the original pub façade has been restored It’s now a Co-Op supermarket. The back of the building has since been rebuilt for private housing, with a mansard roof added. See archive photos here: The Crown/Mucky Duck, Loughborough Junction. 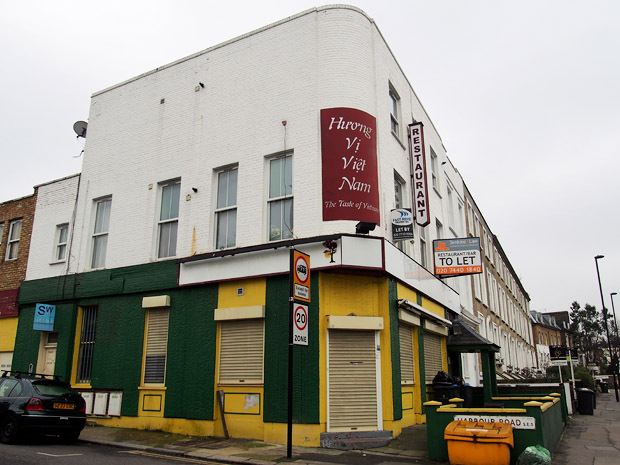 Situated on the corner of corner of Coldharbour Lane and Harbour Road, Camberwell, this building used to house The Enterprise, which spent some time as The Coast Bar in the 1990s before being converted into a Vietnamese restaurant known as The Eastern Tree. The restaurant closed down recently and the building is currently empty and unlikely to return as a pub. Read more: The Enterprise. 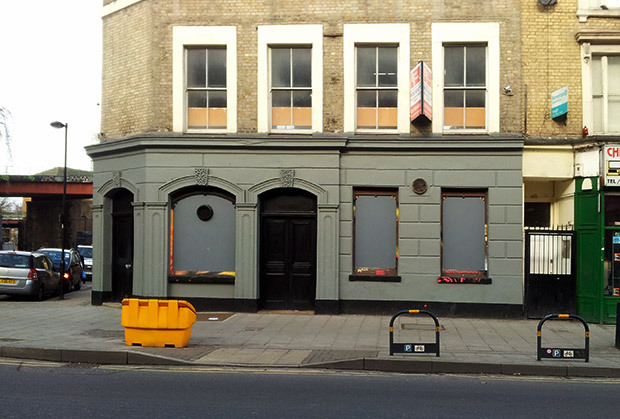 UPDATE: Happily it did in fact reopen as a jazz-themed pub in September 2015, called The Junction. 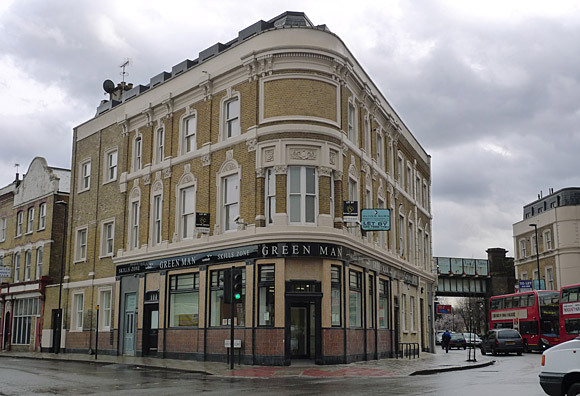 Happily, some pubs on Coldharbour Lane are still alive and well, with the Prince of Wales, The Market House (formerly the Living Bar/IsoBar/Coach & Horses), the Prince Albert and the Dogstar are all doing good business at the Brixton end of the street. 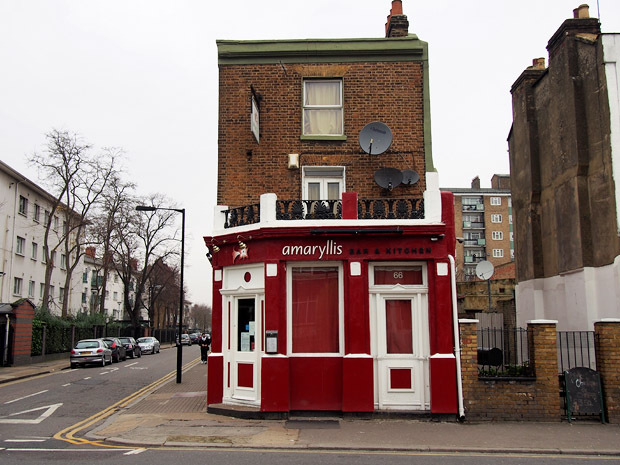 Loughborough Junction has now lost all its pubs on the main drag, but the Sun & Doves (now renamed The Sun Of Camberwell) has recently reopened, and the Amaryllis remains open. 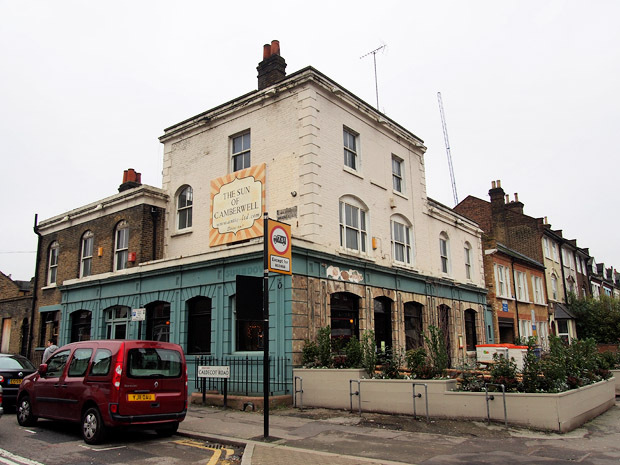 Formerly the Sun and Doves, this large boozer near Kings Hospital is a rare survivor on Coldharbour Lane, and has recently reopened after being purchased by Antic London (who also run the Dogstar). 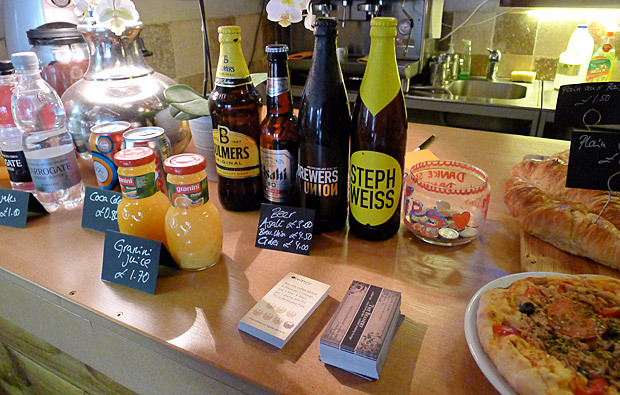 More a wine bar/restaurant than a pub, the Amaryllis Bar and Kitchen is another Coldharbour Lane survivor, with a good reputation for its Caribbean food. It was previously known as the Plough (latterly ‘Jack Beards At The Plough’) and dates back to 1856. 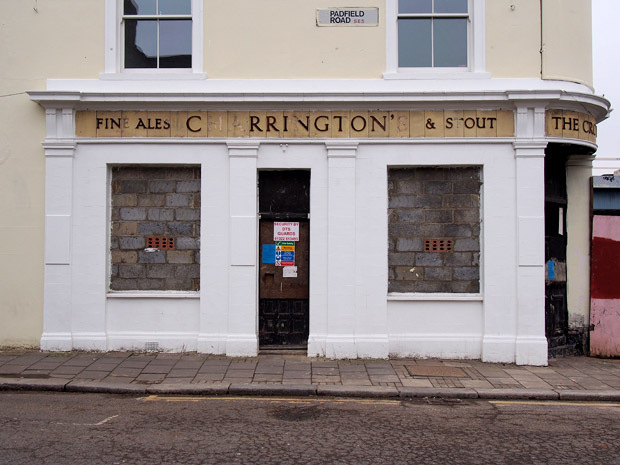 Read more about the lost pubs of Brixton here. Is your local under threat? Check our our Save Your Local Pub guide. 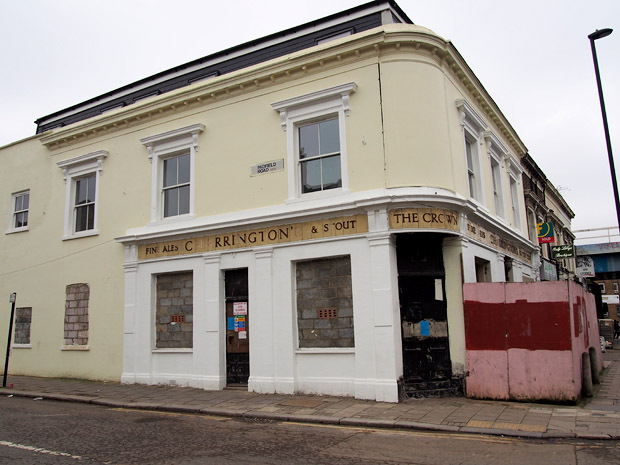 Discuss the lost pubs of Brixton on the urban75 boards. It will be almost impossible for those Pubs (and loads of other small businesses) south of Loughborough Junction to survive for long after the blockage of through traffic which begins shortly thanks to the cretinous decision by Lambeth CONcil and which is directly opposed to the wishes of thousands of local Lambeth residents. WE MUST NOT RE-ELECT ANY OF THEM. 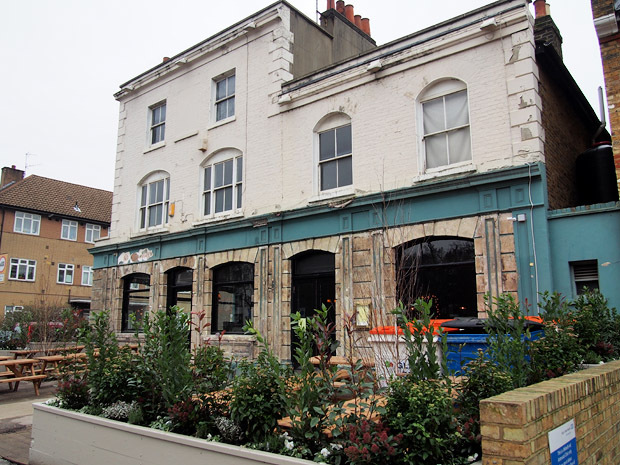 the vietnamese restaurant is a pub again……..called the junction. Our family lived at 95 Coldharbour Lane, opposite Denmark Road, there was a pub on the corner I can’t remember the name of, is it still there? I walked up Denmark Road to go to Charles Edward Brooke School. 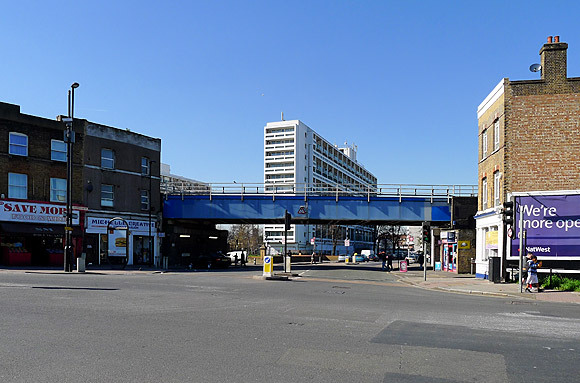 I lived in Somerleyton road, then in Chartham Court 13th floor in the late 60’s and early 70’s. I visited Brixton 21.10.2017 and was astounded to see the fish mongers in the Granville Arcade was still going strong. I talked to a staff member who said it had been running in the same location since the 1940’s. It brought back many good memories. I was sad to see the canopy no longer in place over Electric Ave.
My old haunt was the Gresham Arms, I remember a barman there named Roland.